3D Systems, a pioneer, trendsetters in the 3D printing industry have proved the benefits of the 3D printing. The technology has made a rage and today the printers are commonly available everywhere. 3D Systems provide a wide range of selection of materials printing options which help to design and print. Also the company has been into the designing of the custom made parts for different machines. 3D Systems have made life easier with the powerful and wide range of the personal printing machines which can design and manufacture anything we can ever imagine. Different industries like manufacturing, designing, jewelry, fashion, construction and education are benefited by the use of this technological advancement. The benefits of using 3D printing techniques are that it saves a lot of time, man power reduced, the products can be recycled, different products can be made with different materials.The range of personal printers that is provided by the 3D Systems have a lot different material that is required and comes in a choice of vibrant colors and a pack of small cartridges that gets automatically adjusted to the printer while printing. These printers come with a moisture lock technology that increases the life of the product. Some of the printers are very east to manage and handle. They have the easiest material one can have. 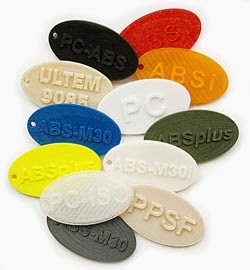 One of the easiest materials belongs to the CubeX ABS printer. The material used for the VisiJet FTi Black makes the most durable and excellent parts that are high in resolution and are tough. The VisiJet PXL is the best out of the lot as it makes the toughest parts of all, has the best resolution, accuracy and very economical. There are many amazing options when it comes to the personal materials in the 3D Systems. Some of the outstanding printers that add to the printer family are Visijet FTI zoom, Cube PLA, Cubex PLA, VisiJet FTI Black, Blue, Grey and Ivory.